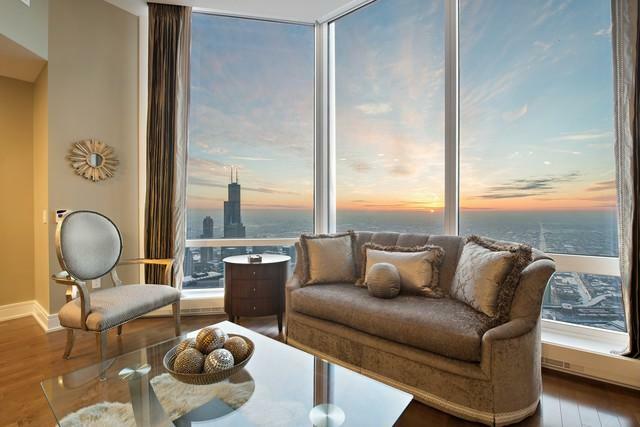 Dramatic 85th floor home featuring 11' ceilings and the entire South and West City Skyline as your back drop. 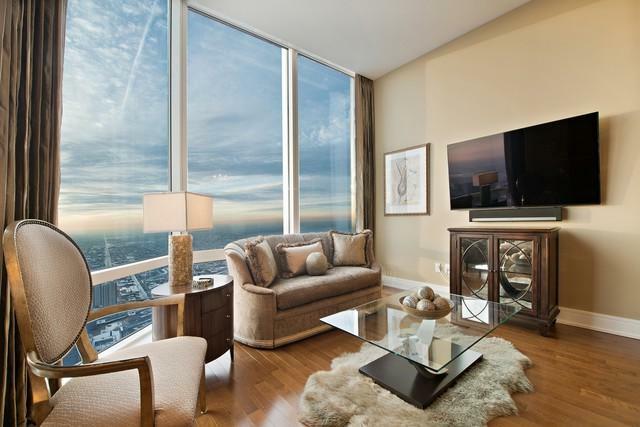 The views are jaw dropping from the one bedroom w/Den residence that has over 1300 sq ft of Luxury living space. Hardwood floors throughout offer and inviting atmosphere with a spacious Living/Dining Room and open Kitchen with pantry and side by side washer and dryer Laundry closet. Over sized Master bedroom with adjacent spa like Master Bath is framed in Italian Stone has a large jetted tub and separate shower with double vanities and an organized walk in closet. Separate Den area is great for a sitting area, home office or pull out sofa. Electric Blinds throughout, TV and Sound Systems all wired. 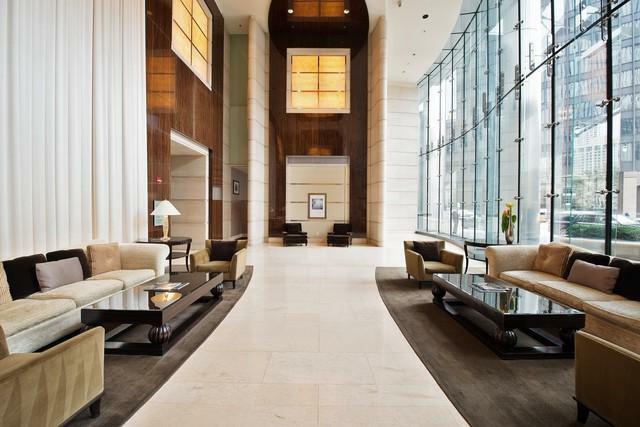 Enjoy all of the full services with 5 star amenities, 24 hour door Staff, concierge, maid service, In Room Dining, Luxury Health Club, and Spa. Deeded Parking available for 50K Full size storage cage included. Must see to appreciate the incredible views.